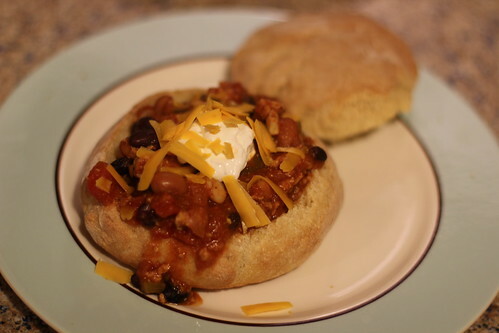 Modifications: No modifications for the bread bowls, and for the chili we used the same modifications we typically do for that – subbed ground turkey and added a green pepper. Time to table: Bread bowls took about 4 hours total to rise, only about 10 minutes prep. Chili takes about 15 minutes prep and simmers for a few hours – you can also make in the crockpot. 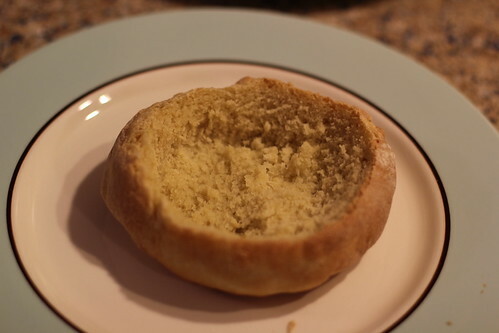 Notes: I have wanted to try bread bowls forever, and decided that would be a great way to break in baking at our new house! 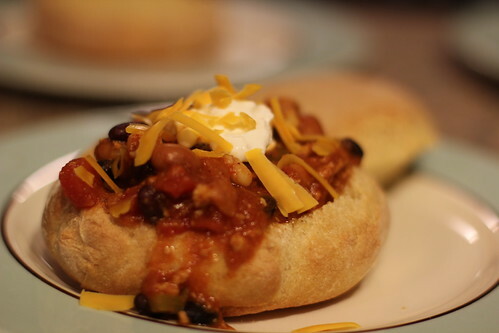 (hence the several month hiatus in posting – but really we’ve just been using this site as it was intended and referring back to it to make the meals we love) We make this chili very frequently, and it was perfect for the bread bowls. My bowls weren’t very voluminous, so I filled it twice to get my normal portion, but it worked. They were far easier than I expected and were a really fun way to eat the chili we have so often. 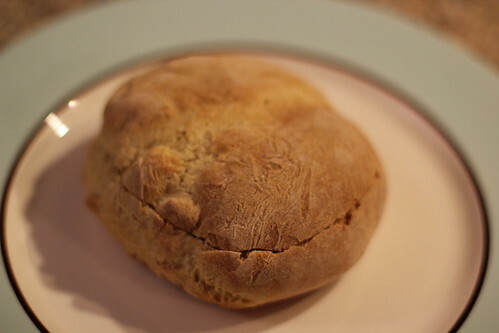 The kids both love the stuff, so it is one of those meals that is tempting to make weekly! This entry was posted in black beans, bread, cheese, green pepper, kidney beans, onion, pinto beans, sour cream, triple love, turkey, white beans. Bookmark the permalink.